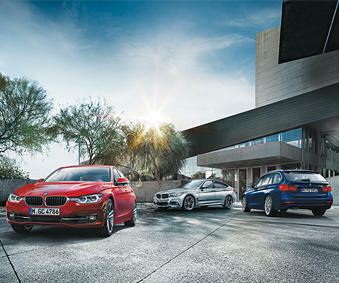 At Budd’s BMW Oakville, we have the greatest selection of premium cars for sale in the Oakville area. Our superior driving machines, combined with our exceptional customer service makes Budd’s BMW Oakville the destination for first-class vehicles. Our top-notch sales associates will take the time to get to know you and find a new vehicle that matches your needs and wants. You will have a fun and rewarding experience going through our vast selection of new cars and selecting the vehicle you’ve always wanted to have. A great balance of power and fuel efficiency is the 2016 328d xDrive. Priced at $53,949, this Mineral Grey Metallic sedan has a diesel engine that offers a smooth yet powerful ride. A luxury sports car with an upscale spacious interior, it offers easy to use controls and technology sophistication. This new car includes Convenience Telephony with Smartphone Connectivity and Black Dakota Leather with Oyster Stitching. Complete with No Charge Scheduled Maintenance for 4 years / 80,000 km, Budds’ BMW provides peace of mind with every new vehicle. You will not be disappointed with the quality service you will receive at our first class service department. We are committed to providing you with the best care for your BMW using only BMW genuine parts every time. Our factory-trained technicians will diligently work on your vehicle while you can sit back at our relaxing bistro or catch up on some work at one of our business workstations. Visit us at Budds’ BMW Oakville to find out how we can put you in the car you’ve always wanted, with the service you’ve come to expect.